P&C insurers received low marks from customers in the most recent J.D. Power consumer surveys. Satisfaction with auto insurers dropped seven points from last year,[i] while property insurers declined by five. [ii] Citing issues with pricing, interactions, and product selection, customers are making a clear statement to the industry and calling on carriers to step up their game. Seventeen of the largest auto insurers are afforded most of the blame, primarily due to premium increases in the absence of a claim. With no life change or incident behind the rate hike, customers feel the insurer is arbitrarily raising rates, unaware of external factors, such as interest rates and regulations, that also impact pricing. It raises an interesting issue for the industry to contemplate—that of a disconnect between the major insurers and the customers they have served for decades. As satisfaction with service interactions decline for both auto[iii] and property[iv] insurers, it seems that what carriers may actually need is a reputation overhaul, leveraging improved digital capabilities and product selection to prove their interest in customer lives and preferences. In light of the J.D. Power findings, it is becoming clear that customers have a distorted view of insurers, leading to a lack of trust and dissatisfaction. Disappointment with local agents and the call center experience ranked just behind price as a major point of contention with customers surveyed in the J.D. Power study. [v] Why? Because consumers now expect a different customer experience than what the industry has been ready to offer. While retailers lead multiple industries in the adoption of more customer-centered offerings and new entrants embrace technology to capitalize on the inability of established carriers to meet customer needs, incumbent insurers are mired in regulations and weighed down by legacy systems and traditional models of operating. Seeing past the obstacles has been time-consuming and challenging, and though established carriers realize their shortcomings, from the customer’s view, it’s a different story. What they see when they look at insurers is an industry out of touch with the people it serves and more concerned with profitability than the needs of its customers, particularly when premiums rise. Fortunately, it isn’t all doom and gloom. Some leading carriers have made strides in recent years, setting industry examples by delivering online options for easy quoting and purchasing as well as the ability to engage with a company representative via traditional or digital means when the customer has a question or concern. In fact, assisted online interaction scores improved in the J.D. Power study due to top carriers offering chat options to consumers after they had visited the insurer’s website. [vi] It’s proof that some carriers understand the need to change customer perceptions and have adopted a digital distribution platform capable of meeting a wide range of product needs and preferences, no matter the desired channel of interaction. In a recent survey ranking insurance companies by current customer satisfaction, the top 5 rated auto insurers offered mobile apps and 3 of the top 5 were willing to customize premiums based on usage, with a similar scenario playing out across top-ranked home insurers. [vii] Findings like these underscore how consumers are changing and highlight how leading carriers are evolving to meet their product needs and engagement preferences. 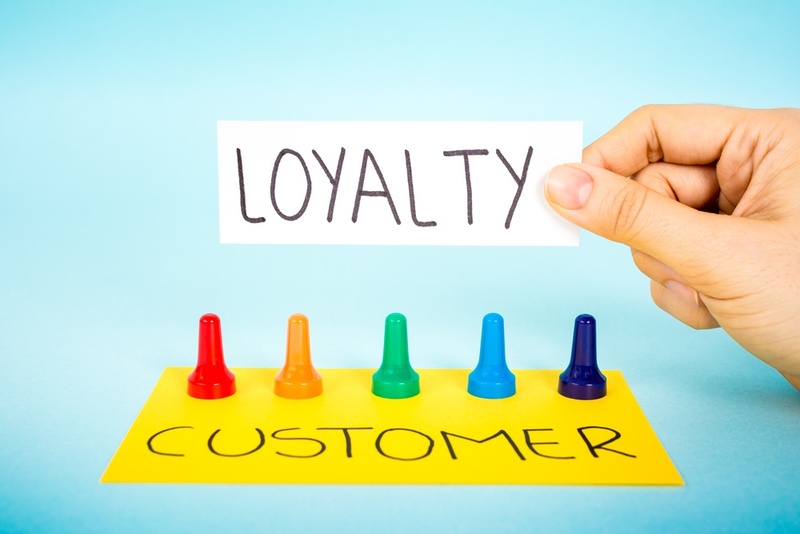 Fulfilling customer product and engagement preferences is important, because study findings indicate that satisfaction drives loyalty. Three-quarters of respondents who rated their auto insurer with top marks said they would renew their policies,[viii] and up to 90% of happy homeowners would do the same. [ix] The fact is, when consumers find a single trusted insurer, they plant roots, but when that insurer is unable to fulfill their channel preference or a particular product need, customers look elsewhere and satisfaction falls. A few new entrants are trying to even the score by offering to match individuals with insurers. This takes the bite out of shopping multiple carriers, but it doesn’t give the customer a single go-to source. This is where some incumbent insurers are leading the way, partnering with the technological prowess of new entrants, particularly banking on the offering of a vast market network. Here, carriers can bundle their products with those from other insurers, building loyalty-inspiring relationships by offering all of the products—and protection—their customers need through their preferred channel and at a price they are willing to pay. Many customers feel that insurers are out of touch with the people they serve, and while it’s true, the industry has been slow to adopt many preferred engagement channels, carriers across the board have continued to mitigate risk and provide protection for valuable assets, fulfilling their core responsibility. That’s a point for insurers, but as competition in the industry grows and new startups consume space in the market, acquiring customers and establishing loyalty is becoming more about creating customer-centric relationships and building trust. In order to succeed in the changing market, insurers need to do more than evolve to meet consumer expectations. They must also change consumer perceptions about the industry, augmenting digital capabilities and expanding product offerings to prove they care about fulfilling all of the customer’s needs and gaining their loyalty. [i] J.D. Power. Large U.S. Auto Insurers Drag Industrywide Customer Satisfaction Down Due to Price Perception, Says J.D. Power. www.jdpower.com. J.D. Power, 20 June 2016. Web. [ii] J.D. Power. Satisfaction with Property Insurance Claims Slips for First Time in 5 Years as Soft Market Takes Hold, J.D. Power Study Finds. www.jdpower.com. J.D. Power, 25 Feb. 2016. Web. [iii] J.D. Power. Large U.S. Auto Insurers Drag Industrywide Customer Satisfaction Down Due to Price Perception, Says J.D. Power. www.jdpower.com. J.D. Power, 20 June 2016. Web. [iv] J.D. Power. Satisfaction with Property Insurance Claims Slips for First Time in 5 Years as Soft Market Takes Hold, J.D. Power Study Finds. www.jdpower.com. J.D. Power, 25 Feb. 2016. Web. [v] J.D. Power. Large U.S. Auto Insurers Drag Industrywide Customer Satisfaction Down Due to Price Perception, Says J.D. Power. www.jdpower.com. J.D. Power, 20 June 2016. Web. [vi] J.D. Power. Large U.S. Auto Insurers Drag Industrywide Customer Satisfaction Down Due to Price Perception, Says J.D. Power. www.jdpower.com. J.D. Power, 20 June 2016. Web. [vii] "Best Car Insurance Companies." Best Car Insurance Companies. Insure.com, June 2015. Web. [ix] Heft, Jayleen R. "15 Home Insurance Companies Ranked from Worst to Best by Consumers." Property Casualty 360. ALM Media, LLC., 23 Nov. 2015. Web.